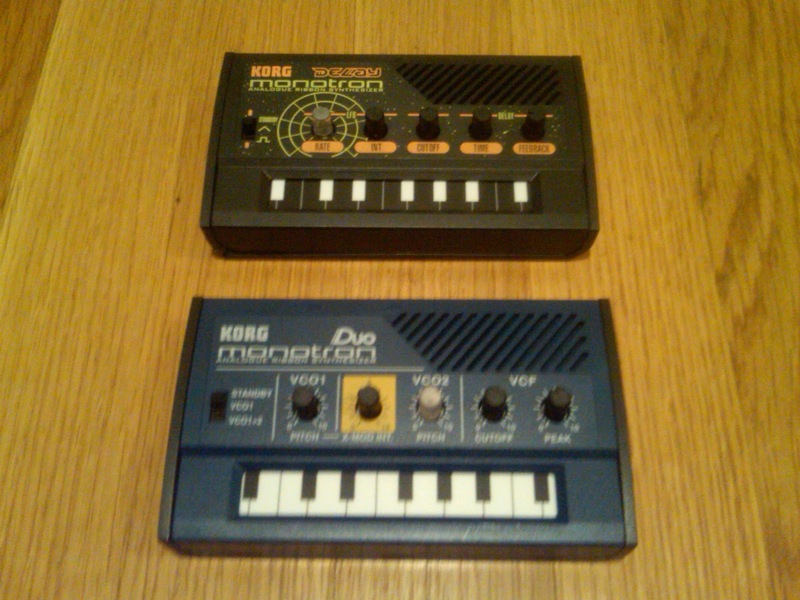 Here are some candidate objects, in rough order of complexity. 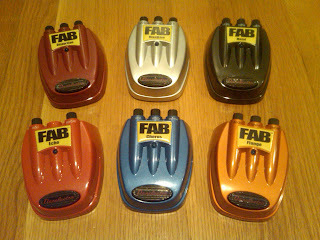 Danelectro FAB pedals (D-1 through D-6): distortion, overdrive, metal, echo, chorus, and flange. 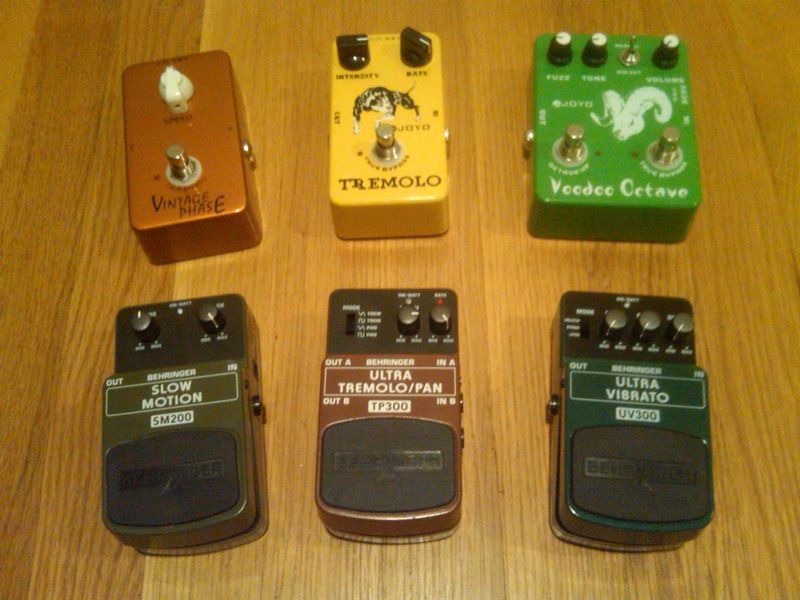 Joyo guitar pedals: phaser, tremolo, and octaver (JF-06, JF-09, and JF-12); and Behringer guitar pedals: slow motion, tremolo/pan, and vibrato (SM200, TP300, and UV300). Korg Monotron variants: Monotron Duo (two VCOs) and Monotron Delay (with echo).